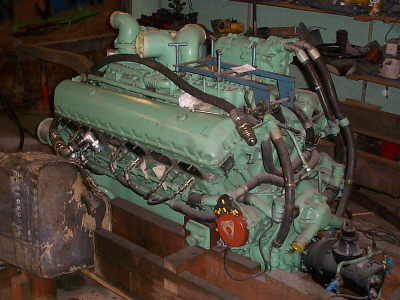 V12 running i n 1999,I finally decided to get one. But they are not so easy to find. and this time the price was right. So the day after I picked it up. This is a Rover Mark 4 B, and it was originally fitted in a Centurion Tank. 27 Litre 60 deg V12 650 hpr 2550 rpm, 1555 lb./ft at 1500 rpm. 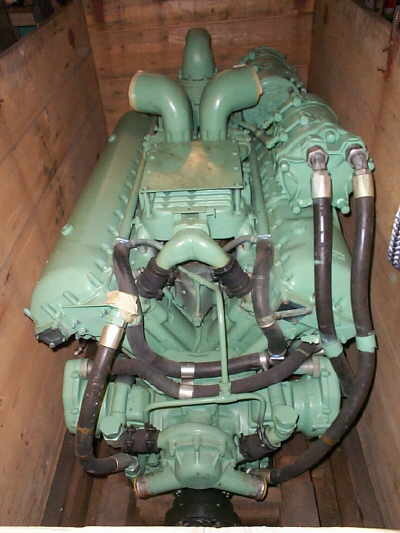 During the war Rolls Royce wanted to get into the jet engine manufacturing. 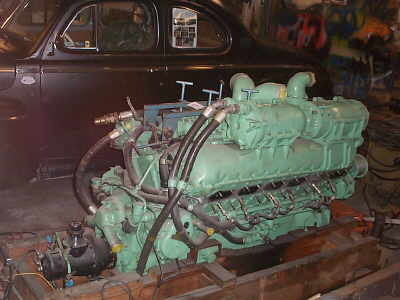 And Rover had done a lot of work for Mr Frank Whittle, so Rolls got the Jet work and Rover got to build a tank version of the Rolls Royce Merlin aircraft engine. What should I use this engine for then? 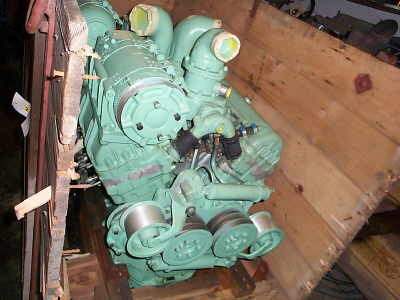 When you get this engine you get a lot of friends that want to check it out. 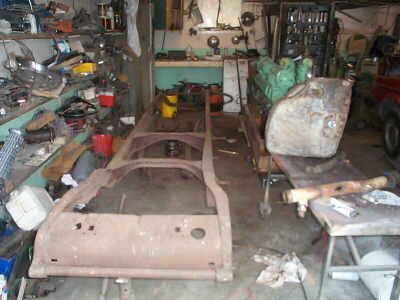 And one friend had a Buick frame from around 1925-30. So if I put the engine in that I can at least move it around. 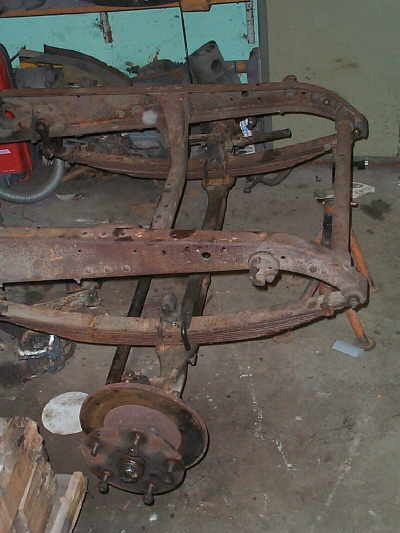 With the frame I got an Original Buick front axle. But the Spindle where huge and I could not find any discs or drums that could fit (easy). 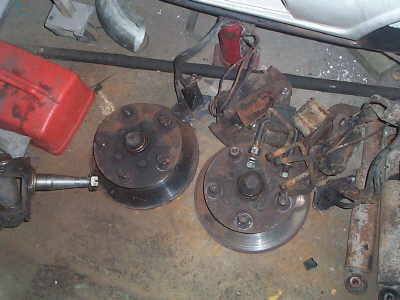 So of to my friendly junkyard, and cut out a Complete Ford Transit front axle. 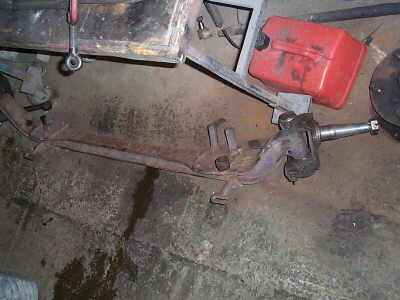 There was this small problem that the axle was 18cm to wide, so I cut out a part in the middle and welded it back together. 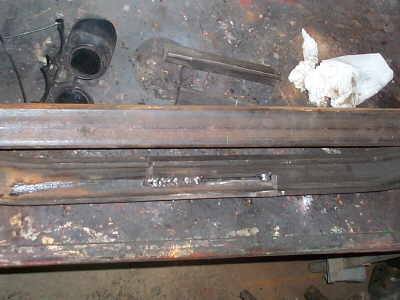 I staggered the joint, and I may weld a piece of flat iron in the slot to. Disc's calipers and all small bits and pieces just waiting to be mounted. Have to do something with the bolt pattern its BIG. Mounted looks like its the original setup, thanks Ford and Buick. Yes i know i will sandblast and paint everything after the first mockup is done. 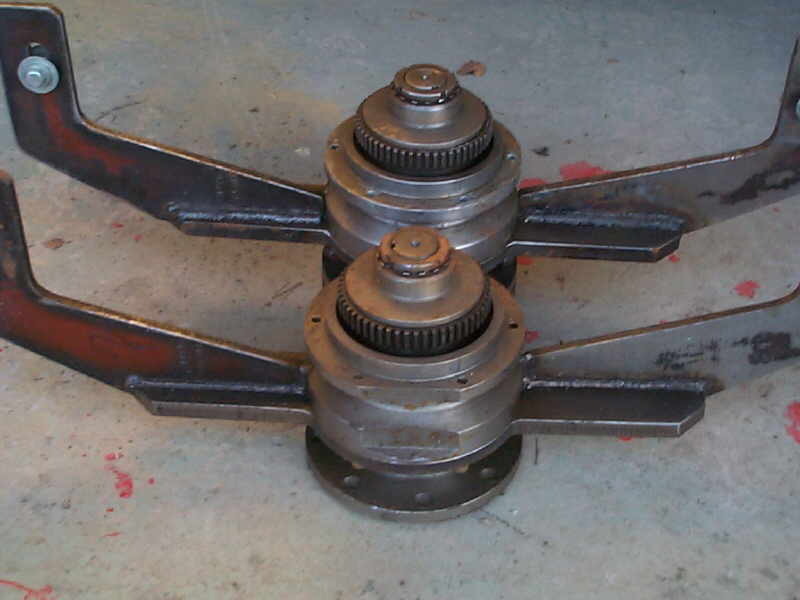 With the engine I also got some parts that the Swedish Army used when they where bench testing the engines. This is the power out takes (PTO) that was used. And I will try to fit a flywheel from a car on that. And then add a gearbox and so on. 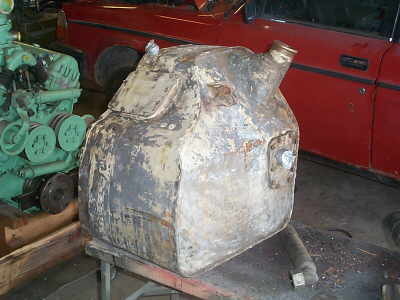 I was missing the auxiliary oil tank, but I found one 250 km from home, and I got it for free:-) He is also building a car! 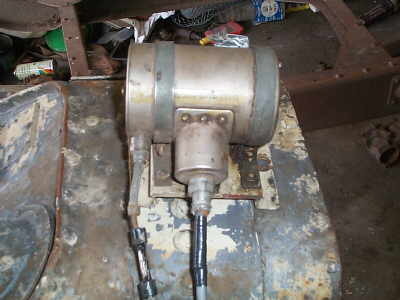 I was also missing the extra ignition coil, its used when the starter is running to add some sparks, and since the magnetos having trouble giving sparks when the starter is running. 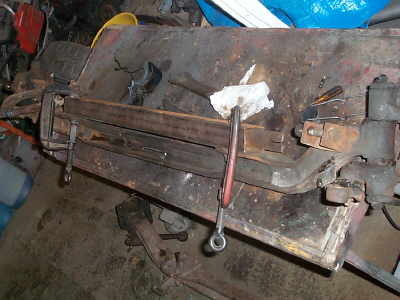 The plan now is to build two engine stands (one for each end of the engine). So I can start making engine mounts for the frame. Will keep you posted. Copyright © 2002 Flatlanders, All rights reserved.